I’m always on the prowl for new and interesting places to get a good cup of coffee in the suburbs northwest of Houston. It’s easy to get spoiled by places like Blacksmith in the Montrose area, where every bean is meticulously sourced and the espresso drinks are made with such artistry. And though Spring and The Woodlands may not be known as bastions of coffee culture, you don’t have to resign yourself to a long wait in line at a certain American global coffee chain that shall remain nameless. So here, in no particular order, is a list of (mostly) local coffee houses and other spots out this way that take their coffee seriously. In my excitement to try Levure for the first time, I practically skipped across the astroturf playground located in the middle of the Creekside Park Village Center, part of an upscale retail and restaurant boomlet that continues to take shape along Kuykendahl Road, just north of Spring. I was forced to squeeze my SUV into a parallel parking spot on the other side of the green from Levure, because this cozy little breakfast/brunch/lunch place is often a madhouse. Levure makes excellent use of a Rancilio, the Lamborghini of espresso machines, and the people behind the counter know how to pull a nice shot. 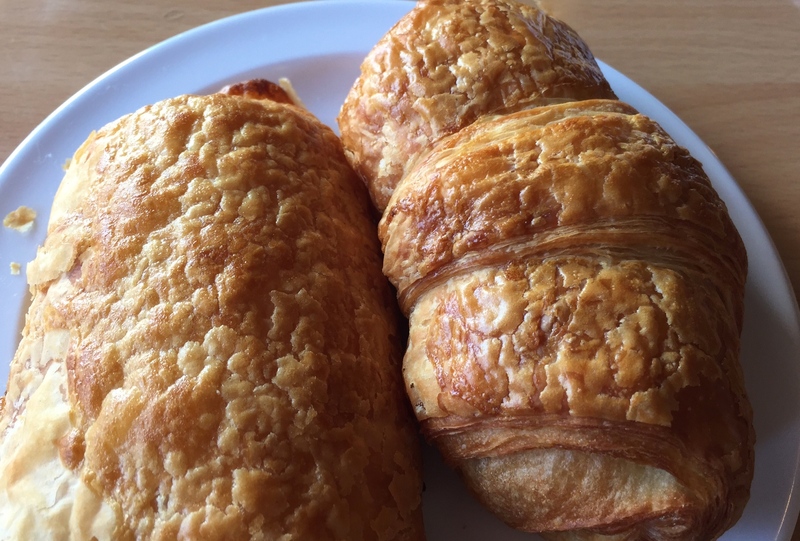 They also turn out the most compelling French baked goods that I’ve found out this way, and when I get the chance, I love the simple pleasure of enjoying a cappuccino here along with one of their plump, buttery croissants, which are 3 days in the making. The vibe at Levure is cheerful and energetic–lots of caffeine-fueled conversation going on, though a not insignificant number of patrons linger over a flute or prosecco or the house mimosa instead. By the time I’m done people-watching and savoring my order, there’s not a crumb on the plate or a drop of froth left in the cup. If you have time to sit for a moment at this delightful Parisian-owned bakery, you should. 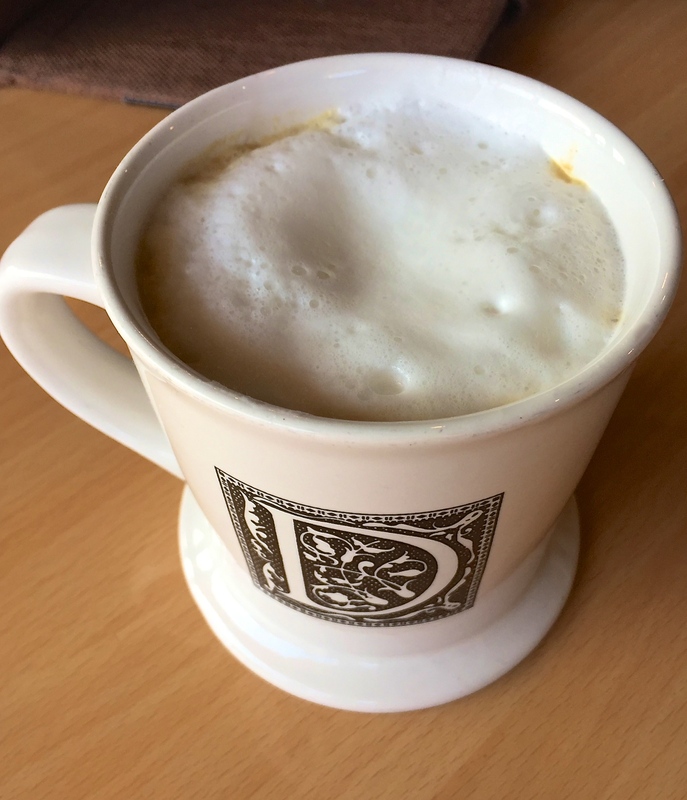 That way you can sip your cappuccino from a real cup, all the better to enjoy the robust espresso and its soft crown of milk foam that comes speckled with a bit of ground nutmeg. You can’t pay a visit here without sampling the pastries. Try the pain au chocolat, a pear tartlet, or, my favorite, the bite-size pistachio macarons. C’est bon. There’s a lot to love about this Beaumont-based bakery chain. Warm, stylish interior, decked out with hand-painted dishes and t-pots that are also for sale. A continuous loop of big band favorites rounds out the relaxing, jovial mood. The lone Houston area outpost of Rao’s is located on Cypresswood Drive in Spring’s Cypress Creek cultural district. 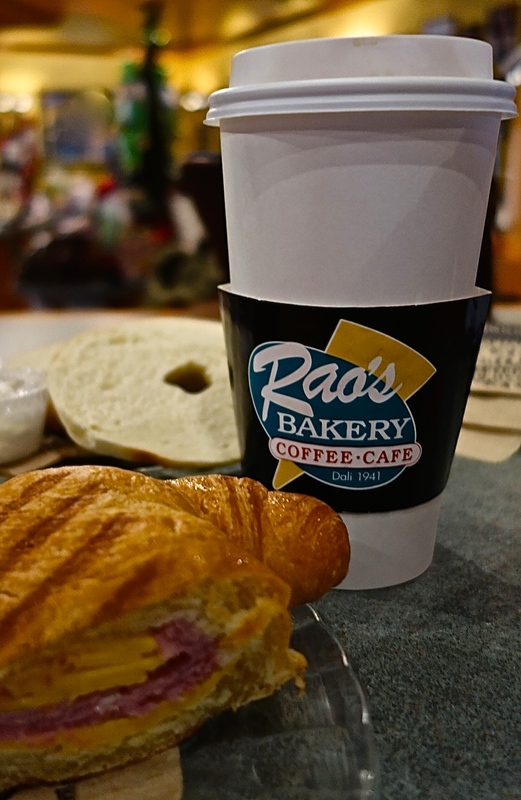 Rao’s serves Illy espresso, and the coffee drinks are good, if somewhat subdued. 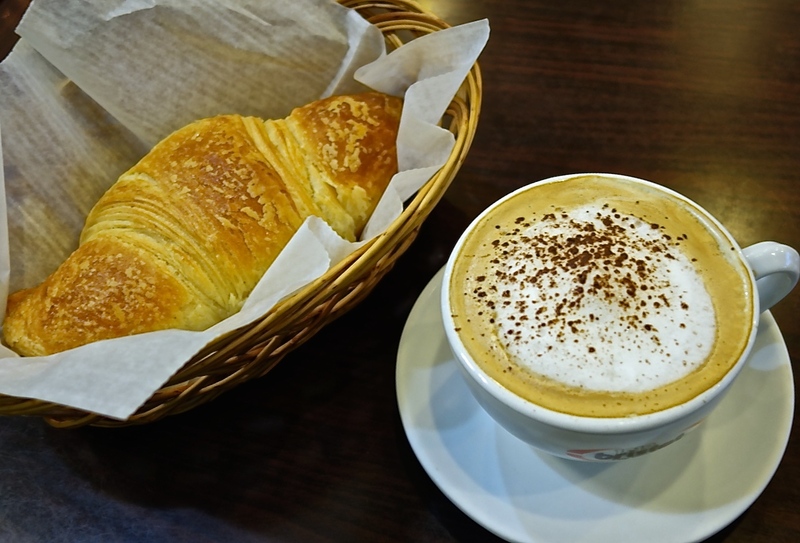 So order your cappuccino with an extra shot, and then enjoy one of the tremendous muffins, the Sicilian tuna on focaccia (my favorite), or a scoop of gelato. You may forget about your errands and lounge here all afternoon, as many people seem to do. 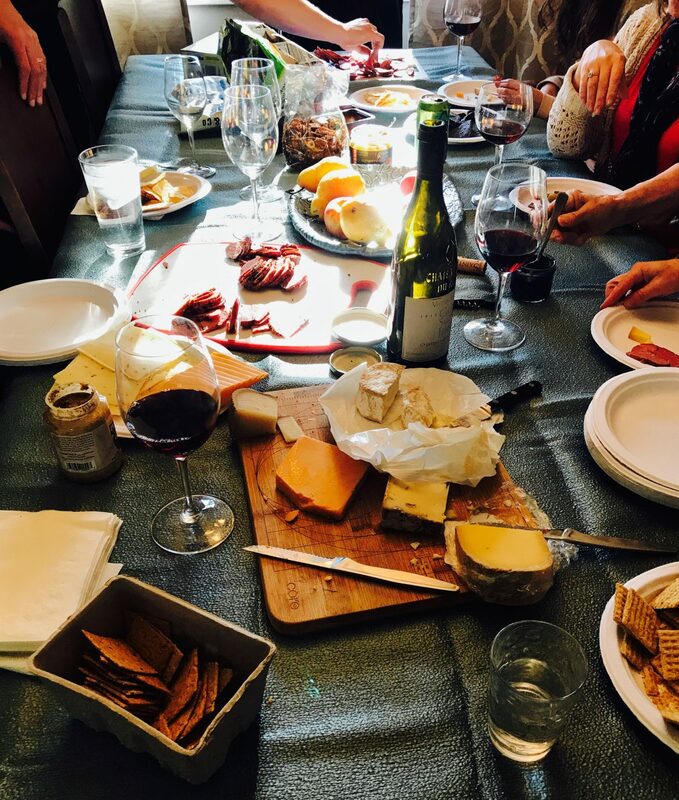 The go-to for authentic French bistro fare in the Vintage area of Spring (See our Allo, Sunshine! post. ), your coffee needs are in capable hands at Allo. 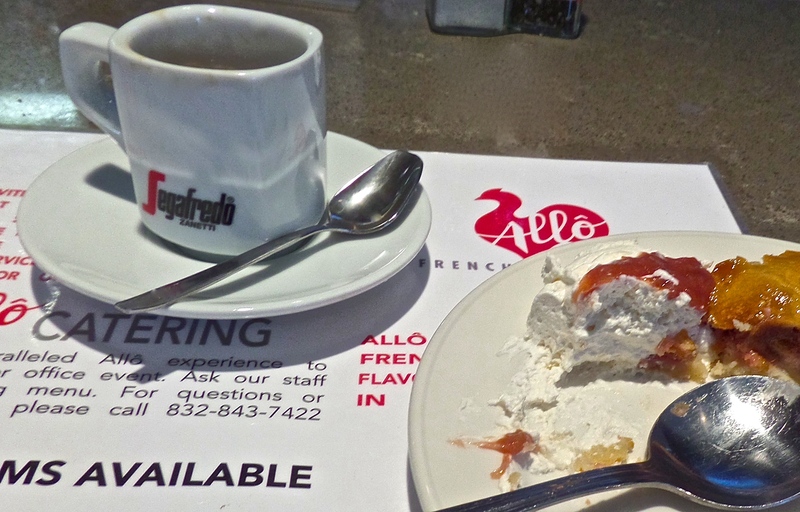 Enjoy a Segafredo espresso with a seasonal fruit tart or creme brûlée. Conveniently located in the Vintage Park shopping center, so you can always rationalize that you’re on your way to nearby H-E-B or to buy a gift at one of the Vintage’s many specialty shops, when you make this very delicious coffee detour. 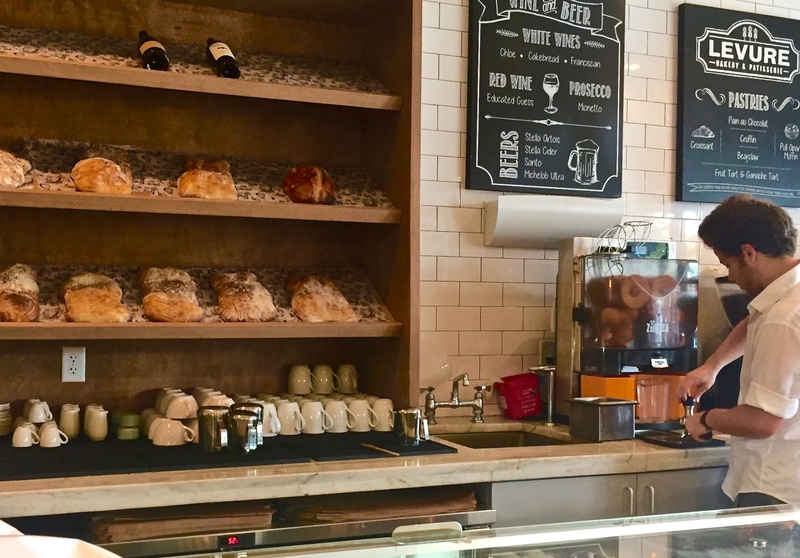 Situated in the Vintage Park area of Spring, Drew’s makes the best Italian baked goods around, and they have a full menu of espresso and coffee drinks to go with them. You’ll need a macchiato or two to wash down your cannoli cupcake, your pignoli, or, my childhood favorite, the fig cucidati. This cozy bakery also serves a very respectable breakfast and lunch menu. Drew’s is a second home to a slew of regulars, a testament to the food and the service–its like stopping by for a visit with family. It’s a classic Hollywood story and, best of all, it’s true. Filmmakers Elizabeth Harrison and Peter Cooper met while working on a production together in Los Angeles. After they married and returned to her hometown of Houston, she and Peter took her passion for home baking and, along with business partner Brad Dorsey, they created Crave. You should come to Crave for the exquisite, fresh-from-the oven cupcakes. But you should linger at Crave to enjoy its sunny, nostalgic interior (designed by award-winning design firm, AvroKO) and a cup of Crave’s excellent coffee. This is one of the few local places in The Woodlands area that has a true craft coffee program. 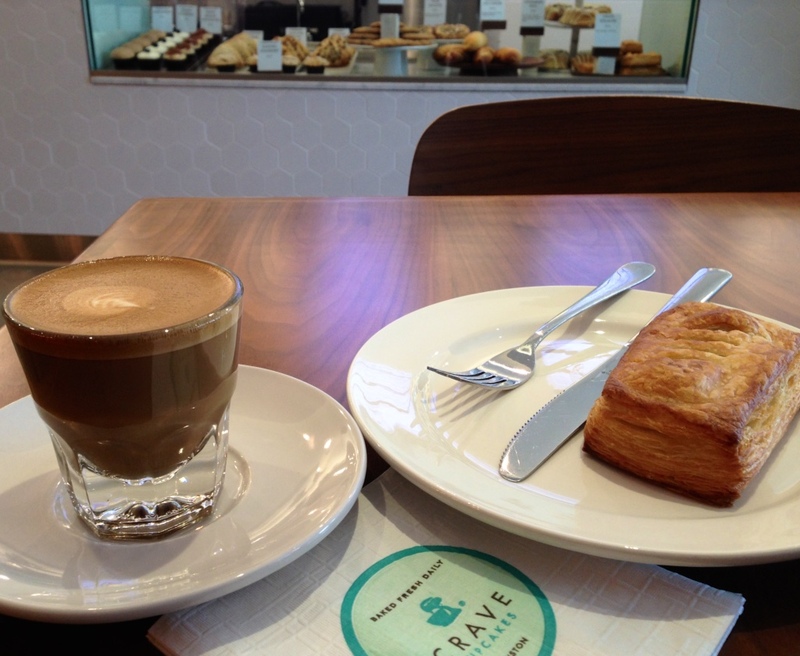 Crave buys its beans in micro batches and roasts them locally. 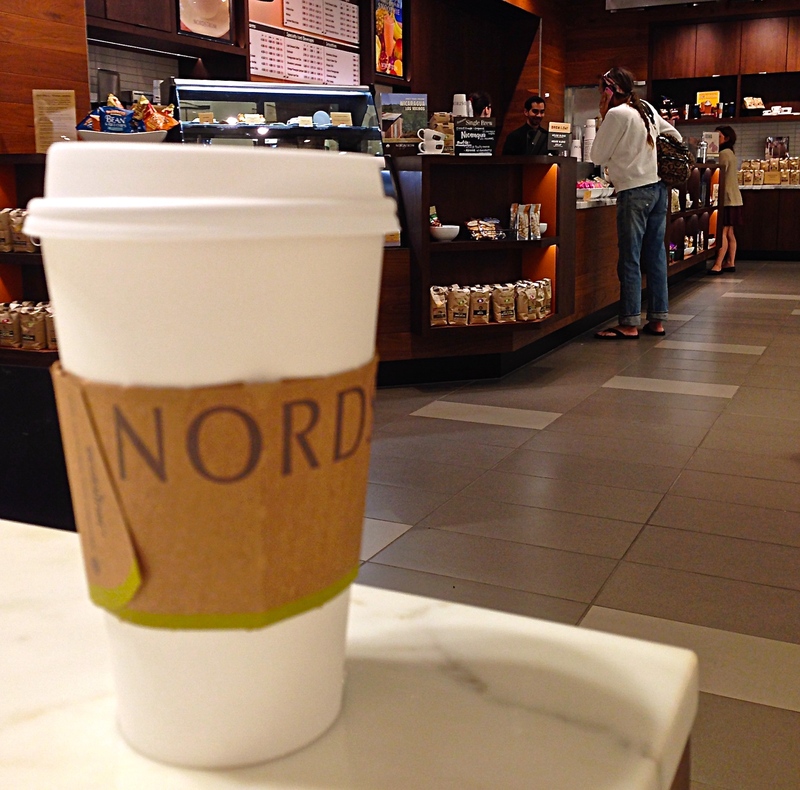 Their “brewed-to-order” pour over is one of the smoothest, freshest cups of coffee you’re going to find for miles. They also do a first-rate job with espresso drinks. When we moved out toward The Woodlands a few years ago, I thought I had stumbled upon a newly-opened gem of a coffee place. “How long have you been here?” I asked, taking another joyous sip from my big, black mug of espresso goodness. “About 20 years,” said the lady at the register, with a bemused look. Oh well. The Brooklyn Cafe was new to me, anyway. Known to many Woodlands residents as simply “Brooklyn Bagel,” this place serves a solid cappuccino. In my opinion, it pairs quite well with the lox bagel that I obsessively order on every visit. The bagels are the freshest around, and the coffee is strong and satisfying. That gigantic coffee chain that I mentioned earlier? 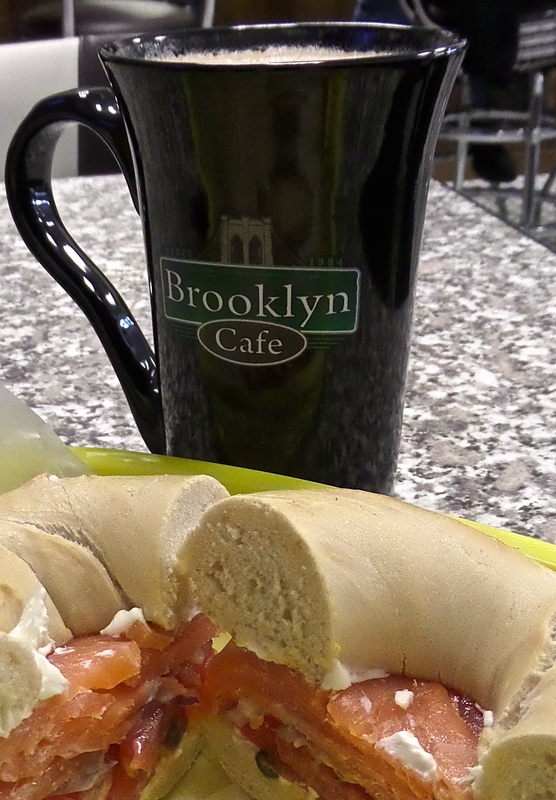 They’re located in the same shopping center, almost spitting distance, from The Brooklyn Cafe. If your coffee and bagel shop can operate at the doorstep of the Big Dog and still do a bang up business, you must be doing something special. And maybe that’s the point. There’s a time and a place for each of these coffee places, and it’s nice to have so many exceptional choices. The pleasure of a well-made cup of coffee is a powerful motivator. Sometimes we all need a little jolt to get things done. Whew! Time for a coffee break.